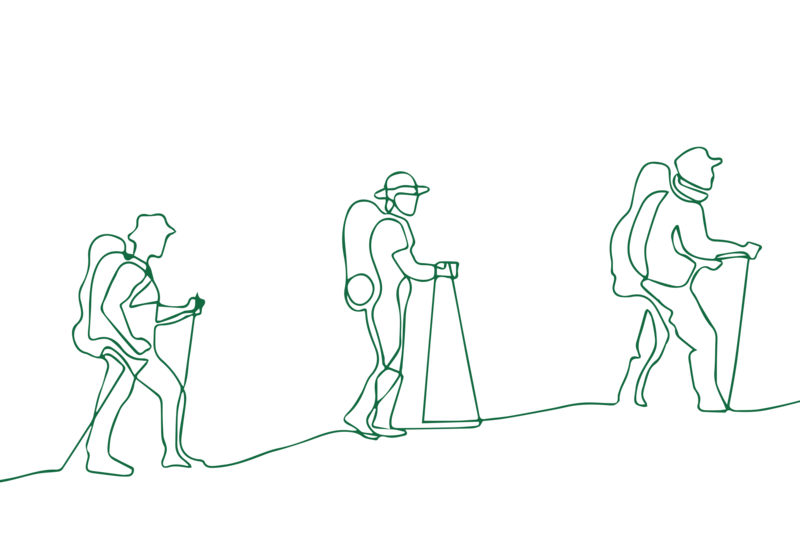 Whether it be trekking the hills of the Peak District or the Himalayas there is a challenge to suit everyone, or if you have your own bucket list challenge which you can take on for The Joshua Tree then sign up via our local Just Giving page. We will provide the relevant support to help you achieve your charity challenge; simply register your event with us at admin@thejoshuatree.org.uk so that we can send you the relevant supporting information and marketing materials. In the meantime, here’s a sponsorship form to get your fundraising started! Running the gruelling 26.2 miles (42.16km) of a marathon will be an experience you remember for the rest of your life and raising money for charity while you do it will only serve to make the day even more special. If you start your fundraising well before your race, then it’s possible to raise a huge amount of money. As a bonus at the end of your marathon journey you’ll be stronger, fitter and healthier, burning off over 2,000 calories in the race alone. If you want to run to raise money but don’t want to jump in at the marathon deep-end there are still plenty of alternative options. A 3k or 5k fun run is the perfect distance for novice runners, and you never know, you might find yourself loving your fun run experience so much that you are inspired to run a full marathon! Not many people can say they’ve trekked along the endless winding expanse of the Great Wall of China or tackled the dramatic slopes of Mount Kilimanjaro, and even fewer can say they did it while raising money for a good cause. Taking part in a charity trekking expedition is a once in a lifetime opportunity, and if you’ve got the time and dedication to take on the challenge then it’s an absolute must for adventure lovers who want to make a difference. Take part in a sponsored swim, be it in an indoor pool, or for the more adventurous an open water swim. Not only is swimming a great money-raising challenge, as a non-load bearing activity, it is also the perfect way to recover from any injuries you might have, as well as reducing stress levels. It helps you get fitter, can be done relatively cheaply all over the world and allows you to fundraise – what’s not to love about a long-distance charity cycle ride? The miles you will be covering are also a great excuse to get a friend involved in the challenge as well, which will mean you don’t get bored on the long rides and could get double the money – everybody’s a winner! If running, swimming or cycling seem too easy on their own, why not take on the three all at once? The triple-headed challenge of triathlon is not to be taken lightly, but if you can put the time and effort into your training it’s a hugely rewarding experience and a highly effective fundraising option. Remember to balance your training equally between the three disciplines, unless one is particularly weak and needs some extra work. Why not raise money by taking on your next adrenaline-fuelled challenge? Throwing yourself out of a plane or off a cliff takes some serious guts, so hopefully, your family and friends will respond in kind with some generous donations. This is an especially effective fundraising technique if you are the kind of person who would normally never do something like this, as people will be impressed that you are taking the plunge and letting out your inner daredevil. For the less active of you out there you’ll be happy to hear that not all fundraising activities require you to shed some sweat. Balls, Fashion Shows and Golf Tournaments are a few of the events we hold where donations go directly to our charity. These can be fabulous social and networking events with like-minded people and could inspire you to host your own fundraising event in the future. Are you a business looking for ways to promote bonding and teamwork within the company? Why not impress your boss by suggesting a corporate charity challenge? Corporate charity challenges can be anything from white water rafting to hikes – anything that will get you out the office and bonding as a team. Team building exercises are always a good laugh and by the end of your challenge, you’ll have raised funds to help support the families and build relations with your colleagues.